A swath of technologists and physicists believe that ‘simulation theory’ will be proved, just as it was proved that the Earth was not the center of the universe. When Elon Musk isn’t outlining plans to use his massive rocket to leave a decaying Planet Earth and colonize Mars, he sometimes talks about his belief that Earth isn’t even real and we probably live in a computer simulation. “There’s a billion to one chance we’re living in base reality,” he said at a conference in June. One popular argument for the simulation hypothesis, outside of acid trips, came from Oxford University’s Nick Bostrom in 2003 (although the idea dates back as far as the 17th-century philosopher René Descartes). In a paper titled “Are You Living In a Simulation?”, Bostrom suggested that members of an advanced “posthuman” civilization with vast computing power might choose to run simulations of their ancestors in the universe. This argument is extrapolated from observing current trends in technology, including the rise of virtual reality and efforts to map the human brain. If we believe that there is nothing supernatural about what causes consciousness and it’s merely the product of a very complex architecture in the human brain, we’ll be able to reproduce it. “Soon there will be nothing technical standing in the way to making machines that have their own consciousness,” said Rich Terrile, a scientist at Nasa’s Jet Propulsion Laboratory. 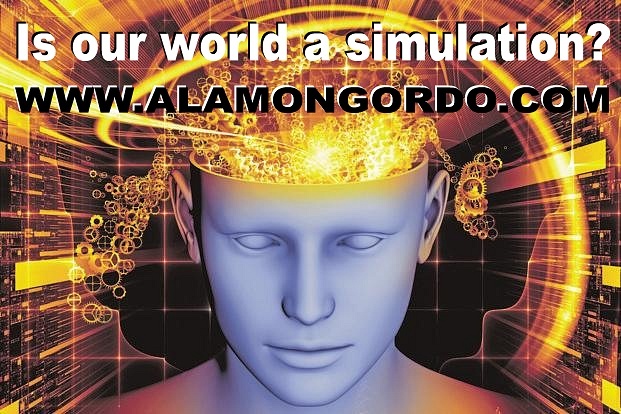 At the same time, videogames are becoming more and more sophisticated and in the future we’ll be able to have simulations of conscious entities inside them. Are we asleep and dreaming our lifes ??? Learning and than wake up when we die ??? “Quite frankly, if we are not living in a simulation, it is an extraordinarily unlikely circumstance,” he added. So who has created this simulation? “Our future selves,” said Terrile. Not everyone is so convinced by the hypothesis. “Is it logically possible that we are in a simulation? Yes. Are we probably in a simulation? I would say no,” said Max Tegmark, a professor of physics at MIT.